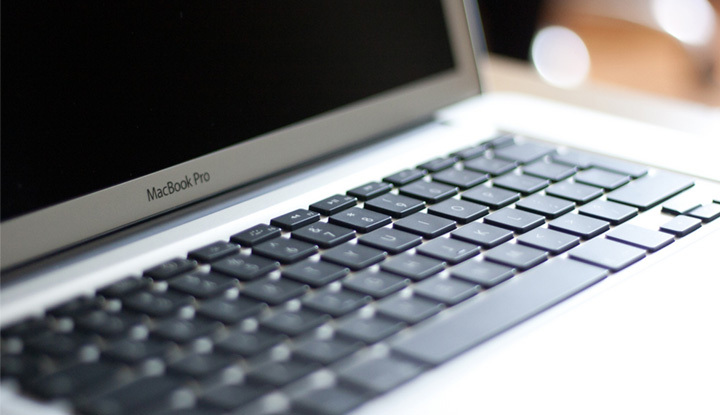 The latest MacBook Pro 15.4″ was released in June 2012 as an upgrade of the previous model, retaining the same design and main features. Apple updated the Intel processor and added powerful discrete graphics from NVIDIA. They also added USB 3.0 connectivity, and both the 13 and 15 inch models can be configured with a 1TB hard drive or SSDs up to 512GB that are twice as fast as the previous generation MacBook Pro. The MacBook Pro without Retina Display is still one of the best laptops you can buy in this price range. I bought mine in July 2012 from Apple, and then anxiously waited for it to arrive via UPS from China. Since July 2012, I have had absolutely no problems with this laptop at all. It is usually kept powered on and running (not in sleep mode) 24/7. It is only occasionally rebooted or switched off, usually every couple weeks. This is by far the best computer I’ve ever owned, and the best Mac I’ve ever owned. The MacBook Pro uses what Apple call a unibody design. The unibody is constructed using a single piece of aluminum, which is machined to provide a solid structure for the MacBook Pro, but it is also the case that contains all the components. A singular piece of metal reduces the amount of individual parts and screws required, making the manufacturing process simpler, but also making the case stronger. There are no visible joins anywhere. Only underneath are small color-matched screws visible, and a very small gap between the bottom panel and the unibody. 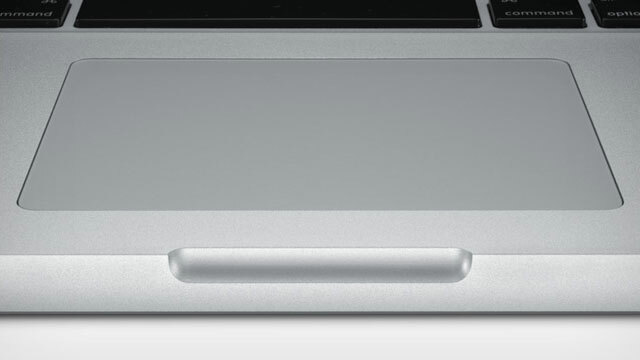 As usual, Apple has paid particular attention to detail when designing the MacBook Pro. Unlike other laptops, every feature has been taken very seriously and it is obvious that Apple has put much effort into making this a sleek and understated design. There are no visible trackpad buttons. No visible screw covers around the display bezel. Even the ports are elegant and aligned perfectly, all on the same side of the laptop. The Sleep indicator LED only shows when in use, a constant light if the display is off, or a pulsing light if the Mac is in sleep mode. The MacBook Pro comes beautifully packaged in a cardboard box. That makes it sound like a boring, brown, cardboard box constructed using corrugated card. But this is Apple we’re talking about. Yes, you do get a brown corrugated card box – but inside that, you get a second box, pristinely presented with high quality printed paper covering the box. Upon opening, you’re presented with (familiar to some) “Designed by Apple in California”. In the box, you get your MacBook Pro, a User’s Guide, and the charger with power cord. There are no software CDs, because the operating system and recovery software are preloaded. The MacBook Pro I configured has a 2.3 GHz Intel Core i7 processor. It’s the most powerful Mac I’ve ever used, and handling tasks such as video production, photo editing, sound production, illustration, simulations, 3D rendering, and gaming, are all a breeze for this powerful high-end laptop. Even this entry level processor for the 15.4″ MacBook Pro is powerful enough to handle demanding tasks on a regular basis. I personally use my MacBook Pro as a machine for web design and development, but this also requires me to run applications such as Photoshop, and VMware Fusion. I’ll typically have more than 20 apps open at the same time, and the MacBook Pro doesn’t have to even think twice about it. This entry level MacBook Pro comes with 512MB of graphics memory and the Nvidia GeForce GT 650M graphics processor chip. This dedicated graphics card is not the best for gaming, but that’s probably not what you’re going to be using a Mac for in the first place. This GPU handles tasks such as Photoshop and Final Cut Pro without any problems. Some users may choose to upgrade to the 1GB graphics option when purchasing, but I’ve found the 512MB version to be more than capable – even when driving a 1920×1080 resolution external display and the native 1680×1080 antiglare display. The stock hard drive was a 5400RPM 512GB drive. I upgraded to a 7200RPM 750GB drive, specifically the Western Digital Scorpio Black with a 5 year warranty. There isn’t much to say in this area – the stock 5400RPM drive is okay, but you’ll probably want to upgrade if you want real performance from your storage. The battery on the MacBook Pro is excellent for such a high performance laptop. If you take into consideration the number of features and different pieces of hardware this laptop contains, the battery life is extremely good at a maximum of 7 hours on full charge. I have typically experienced 4-5 hours of battery life, but that’s when using it for playing video, using Photoshop, and browsing the web. If you really want, turning down the screen brightness and turning off the backlight both increase the time you’ll get when on battery. The battery isn’t removable by the user, but can be replaced rather simply as it is not glued in – it’s simply held in by a few screws and a connecting cable. Tampering with the battery while your MacBook Pro is under warranty will void the warranty – only touch it if its out of warranty. Like all unibody MacBook Pros, this one uses the MagSafe power connector. MagSafe is a magnetic connector for the power cable, and one of the best features of the MacBook Pro. It is common for PC laptops to use a standard 12V DC jack, that is usually poorly soldered to the motherboard. Apple’s magnetic connector won’t come loose or wear out with use. If you trip over the power cord, it will simply ‘pop’ off the laptop, since its magnetic. The charging light is green when the battery is fully charged, and amber (orange) when charging. The SuperDrive is what Apple calls the CD/DVD drive in Macs. It’s a slot loading mechanism drive, with a slim profile, and has been designed to be quiet. However, like all slot loading drives, the mechanism makes it noisy when loading and reading from discs, and the reliability of these drives is questionable. Apple has taken to removing the SuperDrive from the Retina version of this laptop, and also the latest iMac. The trackpad is the best of any laptop available on the market today. It’s actually made of glass, so it’s really smooth to touch. It’s also very precise, so it’s ideal for using if you’re graphics applications. The trackpad has several features, including various multi-touch gestures which make certain tasks easier. Scrolling can be done with your fingers, as can hiding windows to reveal the desktop, and zooming into photos. A lot of competing PC laptops still don’t have these features, and it brings the wonders of touch to a traditional laptop without the need for a touchscreen. This is a cool feature, and one that has been available on Apple laptops for a long time. The illuminated keyboard looks especially cool in dark environments, but it does have an effect on battery life. It can be easily controlled with the two Backlight keys on the keyboard, F5 and F6. If I’m honest, I was dissapointed with the sound quality provided by the built-in speakers on the MacBook Pro 15.4″. I bought this laptop after using an early-2006 iMac 17″ for six years. Going from the old iMac to this, the sound quality is noticeably poorer. OK, so I’ll acknowledge that laptop speakers are never amazing, and that perhaps my expectations were too high in this area. But I did expect the MacBook Pro’s built-in subwoofer to help, but to me, it sounds tinny and empty. I would highly recommend coupling your MacBook Pro purchase with some good headphones, a portable speaker, or a fully fledged desktop speaker setup – any of those will be better than the built-in speakers. One of the best reasons to buy a Mac instead of Windows laptop is the software. Mac OS X is the operating system which comes with every Mac. It is stable, easy to use, and thousands of applications are available for it. I opted for the Hi-Res Antiglare Display option, which has a matte finish instead of the reflective glossy finish that is offered as standard. With the Hi-Res Antiglare, you get 1680×1050 resolution and the matte finish that you’re probably used to if you’re a designer. Even sitting behind a window, the glare is minimal. And the higher resolution makes everything appear smaller, but also sharper and crisper. Apple uses Samsung displays for the Hi-Res Antiglare option, and I think the quality is great. The brightness, contrast, viewing angle, and color accuracy are all fantastic and what you’d expect from a high-end laptop. This makes for a great display not only for every-day use, but also for demanding applications such as photo editing, color matching and designing for print production. The Non-Retina MacBook Pro can be upgraded quite easily, as long as you’re confident with a screwdriver and are sensible enough to remove the power source, and ground yourself properly, before doing so. The bottom panel can be removed, revealing the components of your MacBook Pro. Upgrading the hard drive and memory yourself does not void Apple’s warranty (this applies to both the standard 1 year and 3 year AppleCare plans). Upgrading the memory and storage yourself can save you a considerable amount of money instead of opting for Apple’s BTO options. When I received my MacBook Pro, I decided to upgrade the standard 4GB RAM (2x2GB) to 16GB RAM (2x8GB), and I also upgraded the standard hard drive from a 500GB @ 5400RPM to 750GB @ 7200RPM (a minimal performance benefit, but I wanted the extra capacity anyway). Upgrading the memory in a unibody MacBook Pro is a simple procedure. Make sure your Mac is powered OFF and that the charger is disconnected. Start by removing the screws that hold on the bottom panel. Lift off the bottom panel carefully. Optional: Disconnect the battery by lifting up on the cable to remove it from the connector. Unclip the existing memory from the memory slots. Seat the new memory into the slots, making sure its seated correctly. If you disconnected the battery cable earlier, reconnect it now. Screw the bottom panel back on. 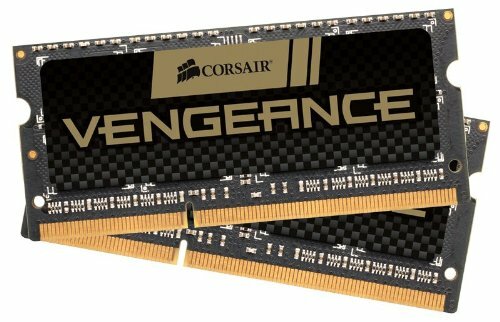 I highly recommend Corsair’s 16GB Memory Kit for your MacBook Pro. You can upgrade the hard drive without voiding the warranty. Either change it for another traditional spinning drive, or swap it for an SSD which doesn’t use moving parts and is much faster than a traditional drive. Either way, any standard 2.5″ drive that’s SATA II or SATA III is compatible. 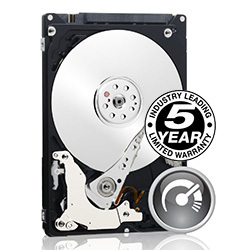 I upgraded my Mac with the Western Digital Scorpio Black 750GB 7500RPM Hard Drive which comes with an amazing 5 year warranty and is incredibly reliable and good value for money. The hard drive is located along-side the battery. Remove the two screws that hold down the retaining bar along the side of the hard drive. After removing the retainer bar, lift the hard drive using the pull tab. Carefully disconnect the SATA cable, it is thin and fragile. The drive has 4 Torx screws on two sides that need removing, and transferring over to your new drive. If you lack the correct Torx screwdriver, you can get away with using a pair of pliers to do the same job. Connect the SATA cable, place the drive back in the drive bay, and screw the retainer bar back into place. I highly recommend purchasing AppleCare for your MacBook Pro. The cost might seem high, but it is far less than the cost of a logicboard, screen or SuperDrive replacement. 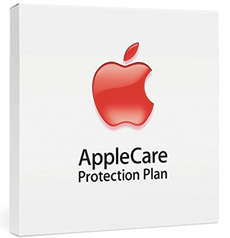 Apple charges a lot for its parts and labour for out-of-warranty repairs, so the AppleCare warranty is worth the price. It extends the standard warranty from 1 year to 3 years total cover for hardware and manufacturing defects. I have used AppleCare several times in the past and the service has been good. Take your Mac into a local Apple Store, and they’ll run diagnostics, find the problem, and fix it for free as long as you have AppleCare cover. There’s probably not much more that I can say other than, this laptop is great. It far exceeds the quality of the last Apple laptop I owned, a 2003 PowerBook G4 12″. The unibody construction is solid, the design is timeless, and the value for money is excellent if you consider how much power, performance and features you get with a MacBook Pro. The hardware quality and software features far exceed anything in the Windows PC market, and this laptop is capable of anything you throw at it. There is also the added bonus of user-upgradeable memory and storage, and the capability of adding solid state drives and memory of up to 16GB. I highly recommend this laptop for any professional who needs a reliable workhorse that’ll get through every day reliably. If you’re considering a MacBook Pro for the first time and are coming from the PC world, welcome. You will have a little adjusting to do but it’s really easy and you will probably be impressed with how straightforward the operating system is. It just works. I can’t even think of when I had a crash or freeze. My Lenovo laptop does not have an illuminated keyboard, so the keyboard on this laptop is a big plus in my opinion. Excellent for people that like to work or surf the web while their significant other is sleeping. In conclusion – this is a great laptop. Although it is a little pricey, it is well worth the extra money. So far, the only issue I have with it (rubber pads) is a very small problem that does not change how this laptop performs in any way. People typically say that the real reason they love Macs and other Apple products is because of the build quality. While the build quality on this computer is INSANELY good (I feel bad hauling it around with me; I feel like it should be in an art museum), I really think it’s the software that makes this a standout computer and computing experience. ResExcellence recommends Amazon as the best place to purchase your MacBook Pro. They have a wide selection of stock, with the best prices. You can also buy accessories, third party software, and a case for your MacBook Pro from Amazon at the time of your purchase so that when it all arrives, you’ll be ready to rock ‘n’ roll. We are not affiliated with Apple, Inc. All trademarks and copyrights on this website are property of their respective owners. Apple, the Apple logo, Mac, Macintosh, MacBook, iMac, iPhone, iPod, iPad, MacBook, Apple TV, and AirPort are registered trademarks of Apple, Inc. © 1997-2014 ResExcellence. All Rights Reserved.